I have been keen to get to the Exmoor Beastie for a few years now and was pleased that this year it finally fitted the schedule and it was great to see 9 RS Aeros in the 37 boat entry list. Wimbleball is a really pretty lake on Exmoor and at 230 meters above sea level I think it could be the highest sailing lake in southern England. 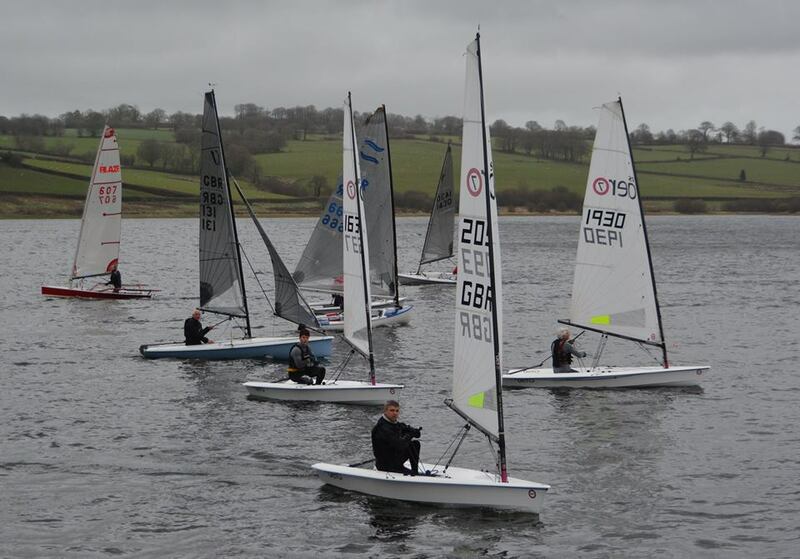 Wimbleball has its geographical challenges when it comes to racing sailboats, all which add to the game. The lake comprises three distinct areas linked by narrow passages with wooded high land. The wind follows the direction of the lake compressing and swirling against the high leeward shorelines and often deflecting 90’ from the general direction – and more in the swirls! With a 20 knot average a 30 knot gusts forecast it looked set to be an exciting day. Asymmetrics and trapeze boats might struggle with the tricky lake potentially favouring the smaller boats. A great turnout of nine RS Aeros signed up out of the 37 starters, not bad considering the forecast of gales and rain! Two home boats were joined by a further 4 from Devon and three more travelling from the east. The rig tally was four ‘5’ rigs, four ‘7’ rigs and one brave ‘9’. The Beastie is a full on three hour Pursuit Race. The Laser 4.7s were the first off for the full 3 hours with the RS Aeros 5 some 15 minutes later followed by the 7s at 21 minutes and the 9s at about 27. The first beat through the narrows was likely the windiest of the day and the undoing of many. Just 5 minutes after the start in swirling 30kn gusts I had a triple capsize leaving me quite breathless with still over two and a half hours to race! The narrows were so vicious the technique was to try to sail upwind in the full on breeze whilst just sitting on the side deck and steering a close reach for fear of a 90’ header blowing you in backwards with no notice. At the start of the race I was pushing to hard which was likely my undoing at that time. More boats capsized to windward than to leeward that day. It was an interesting challenge and I was glad of the long run downwind to get my breath back! With vicious gusts pulsating in strength and rapidly varying in direction a flat sail that could spill wind quickly and exhaust easily was required. A tight cunningham, tight outhaul and a slightly eased kicker provided this. With the likelihood of a capsize being to windward I was not tempted to depower by lifting the daggerboard and kept it right down for that increased stability. Everyone had their issues. The well sailed Phantom in 2nd overall had two swims. The Blazes were wary of hiking off their racks for fear of a windward dunking. The Osprey was seen beating through the narrows without using its trapeze. The Fireball who won the previous Southwest Series Event, the Roadford Rocket, was left out of the running after a couple of lengthy capsizes. Some Lasers were towed home from the leeward shore. The victor of the day was a popular winner in Val Millward in her Challenger trimaran. This was a wonderful attribute of success of PY racing allowing different classes to have their glory moment in one off races of in specific conditions. There is no coincidence the winner was the only sailboat with ‘stabilisers’ – I wish I had had some! Val sailed fantastically ripping up the incredibly difficult racecourse and looked incredibly fast as the gusts hit. What initially looked on the course board like it might have been an RS Aero ‘reach-fest’ turned out to have a large proportion of windward-leeward with the wind direction following the lake shores. I had a long close race with the Supernova and towards the end of the race was pipped by the Phantom and Osprey. Andrew Frost of Sutton Bingham in his RS Aero 5 finished 1st Youth overall and 2nd RS Aero. 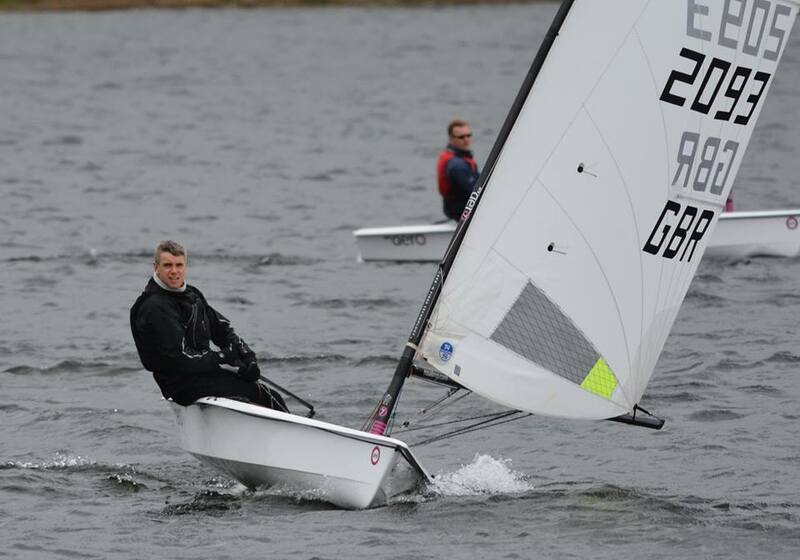 RS Aero newbee, Angus Cook of North Devon YC, did well on his first outing to secure 3rd in an RS Aero 7 in such testing conditions. Andrew Frost also clinched the title of 1st Youth overall in the 2017 Southwest Series. Peter Barton missed out on a chance of the overall Southwest title having raced the first event in his RS800. Thanks to Wimbleball SC for putting on a great day and I recommend a Beasting to everyone for next year.